The MiX is a teen makerspace at the Science Museum of Virginia. The site opened in 2013 and is designed specifically for teens ages 13 - 18. Participants receive a free membership to the museum when they join the mix as a further extension of lifelong learning. The space is drop-in and maintains a free-form schedule of events. As Matt puts it, “We try not to schedule things, really at all. 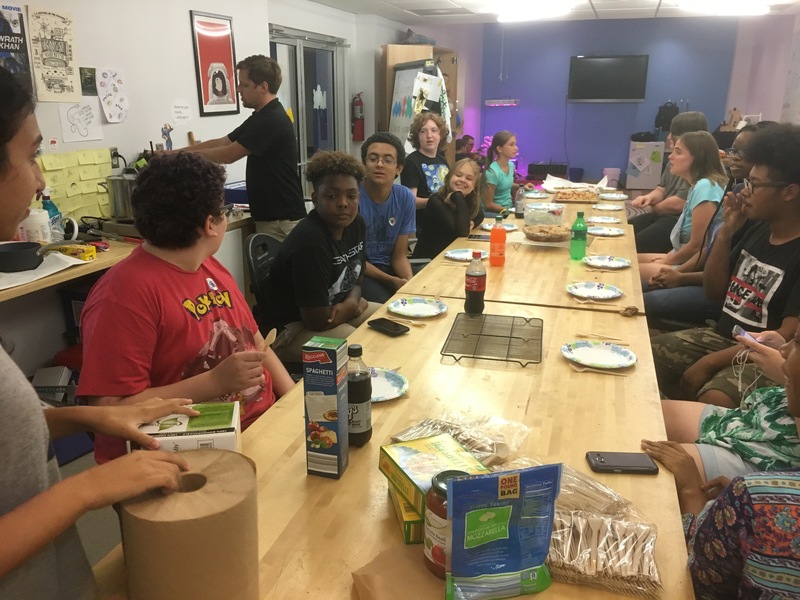 We try not to schedule too many workshops so that it can be as open as possible.” This freedom of time creates space for teens to decide how they learn at the MiX; some do homework, some participate in workshops, and some just come to talk with the mentors. There are over 700 youth registered with The MiX, of which about 200 of those are “regular” attendees. Those that do attend regularly, typically stay all day. Operating hours for The MiX during the school year are weekends only, and those expand to M-F in the summer. This shift in hours typically leads to an increase in attendance. The MiX currently employs five part-time mentors, and Matt, who is full-time. 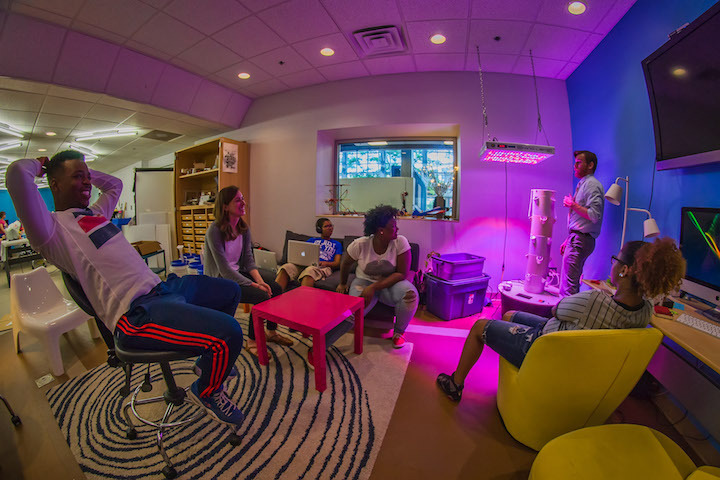 Like many learning lab spaces, the MiX finds popularity in equipment and content when a mentor’s skills and interests align. Right now, sewing machines have gained traction with the youth because a few mentors are into cosplay and have brought those textile interests into the space. The CNC routed furniture is also very popular. Ultimately, the programming and workshops shift to match and meet student interests. The spirit of the MiX is not contained within its own walls, as they’ve created a strong network of partners, including the Boys & Girls Club, Big Brothers Big Sisters, and more. 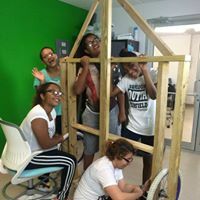 By bringing their workshops out into the community, they’ve developed pathways for teens in Richmond to participate a connected learning environment. A new partnership with an alternative high school for youth at risk of failing out, will bring students into The MiX once per week to tinker and mess around with new technologies, while also exploring career opportunities and strengthening their social emotional skills. The MiX is currently in the process of constructing a new space called, “The Forge.” The plan is to take the lessons learned and the successes of The MiX and open it up to a larger, intergenerational makerspace. The curriculum/pedagogy and approach is still under development and the plan is to provide skill-building workshops that are more scaffolded than the open structure of The MiX, leveraging the inclusion of caregivers to carry-on the learning beyond time spent in the physical space. The MiX is doing amazing things and we can’t wait to see how their latest endeavors come to fruition! To listen to Matt Baker talk about The MiX, visit our podcast page.